Do you know why pumpkins are carved every year during Halloween? This practice originated in Ireland whereby on "All Hallow's Eve" a pumpkin was carved and left on the doorstep to ward off evil spirits. Traditionally a face was carved on a swede or turnip and often lit for display but pumpkins are now used as they are more readily available and easier to carve. Did you celebrate Haloween with a pumpkin this year? Struggling for an idea on what to do with your leftover pumpkin? 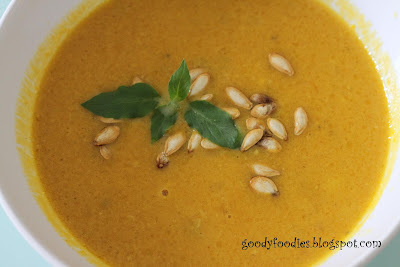 Why not try this recipe for homemade pumpkin and sweetcorn soup; this is a great vegetarian soup. The soup has a wonderfully smooth and creamy texture and the addition of sweetcorn provides some crunch to the soup. It is a hearty and delicious recipe, and will make good comfort food in the cold winter climates. Even the pumpkin seeds do not go to waste. 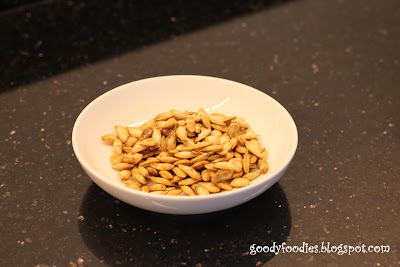 Roasted pumpkin seeds have a lovely nutty flavour and are great as a snack besides having a multitude of health benefits. 1. Using a sharp knife, peel the pumpkin and deseed it with a spoon. Keep the pumpkin seeds aside for later use. Then, cut the pumpkin into 1 in (2.5cm) chunks. 2. In a large non-stick pot over a low heat, melt the butter and add the onions. Cook the onions for 8-10 minutes, until they are softened and golden brown. 3. Add the chopped pumpkin, along with the sweetcorn, cinnamon and nutmeg and season to taste with salt and pepper. Put the lid on and allow the pumpkin chunks to sweat gently and release their juices. This should take about 10 minutes. 4. Pour in the milk and stock and gently simmer for 20-30 minutes. Put the lid on but leave a little gap (so it's slightly ajar). Stir ocassionally. 5. 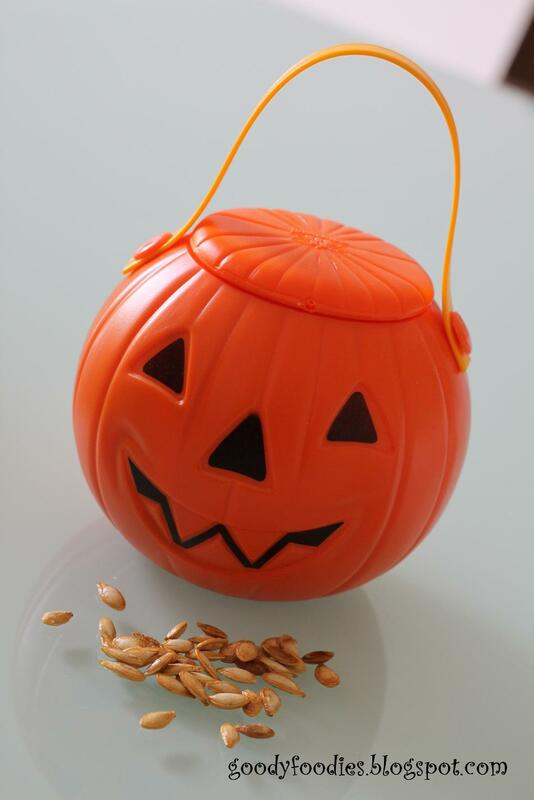 For the roasted pumpkin seeds, first separate the seeds from the pulp and strings and rinse them under cold water. 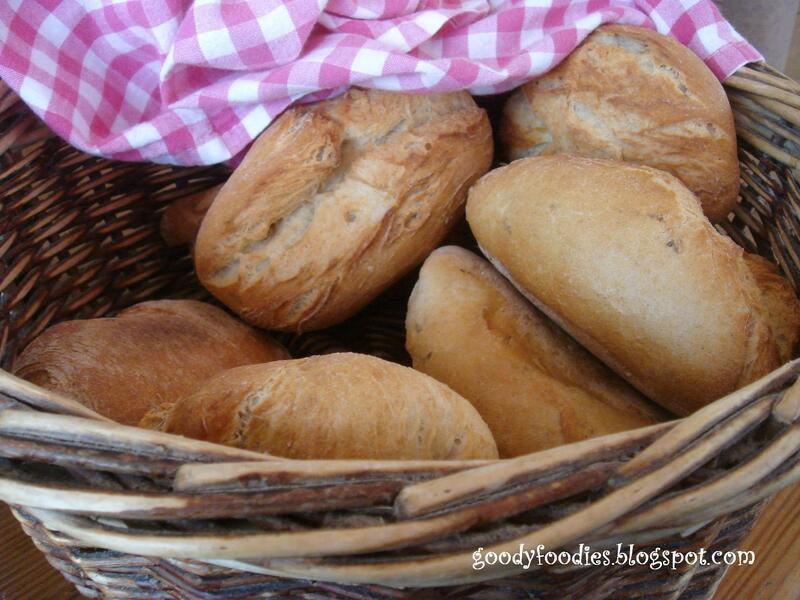 Pat them dry with a cloth and place in a dry bowl. Add the olive oil and salt and stir to coat. Place the pumpkin seeds on a single layer on a baking sheet and roast for 15-20 minutes in a preheated oven (160°C). Do keep an eye after 10 minutes as you just want to lightly roast them as overroasting destroys some of their nutritive value. 6. The soup is now ready to be served. 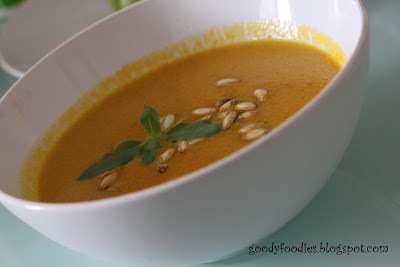 However, if you prefer to have no bits in your soup at all, then pour the soup into a blender or food processor and blend it to a puree. Remember to remove the cinnamon stick beforehand. 7. 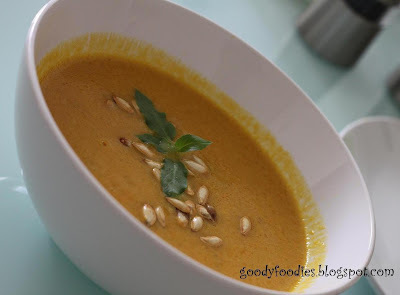 Serve the soup in warm bowls with pumpkin seeds sprinkled over. Note: This recipe was adapted from Delia Smith and Valentine Warner's pumpkin soup recipes. 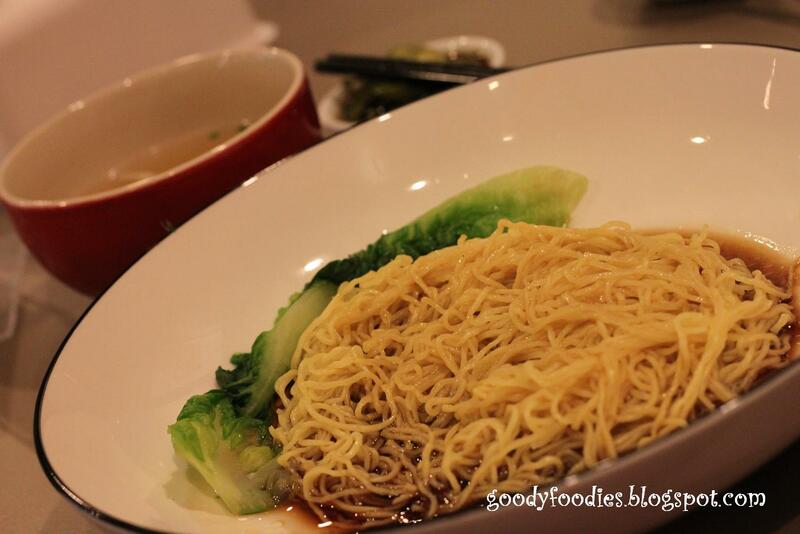 We stopped by Empire Shopping Gallery for some lunch after running some errands in the Subang area. Since we were new to the mall, we did our usual restaurant rounds to check out their menu offerings. We were reaching the end of the restaurant stretch on the Lower Ground Floor when we spotted this banner outside Jaya Grocer. 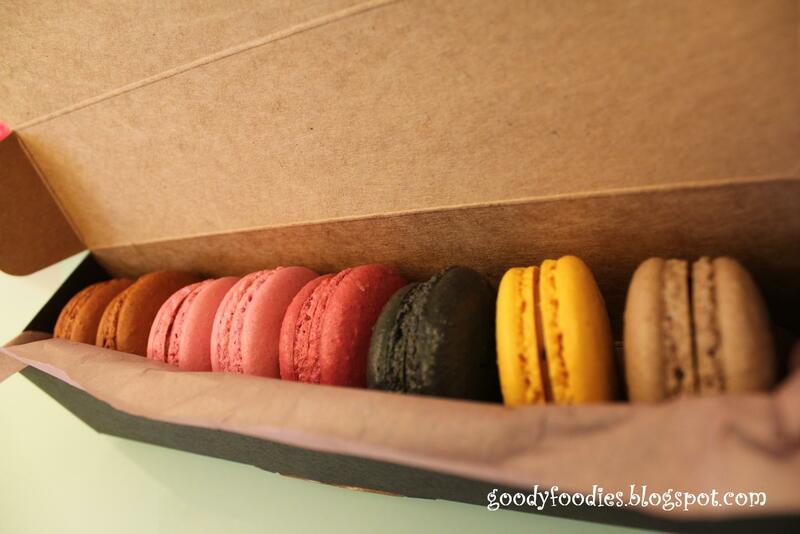 As soon as we reached the restaurant, we were greeted by the sight of these beauties, just waiting to be devoured. The restaurant itself isn't very big. 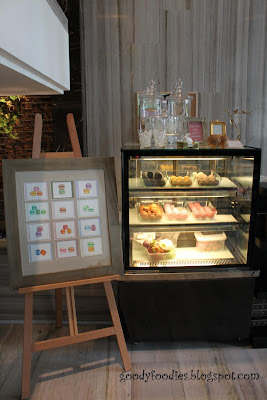 The setup here is simple; place your order at the counter, pay and a number will be given to you. Then, the waiting staff will bring the food to your table. 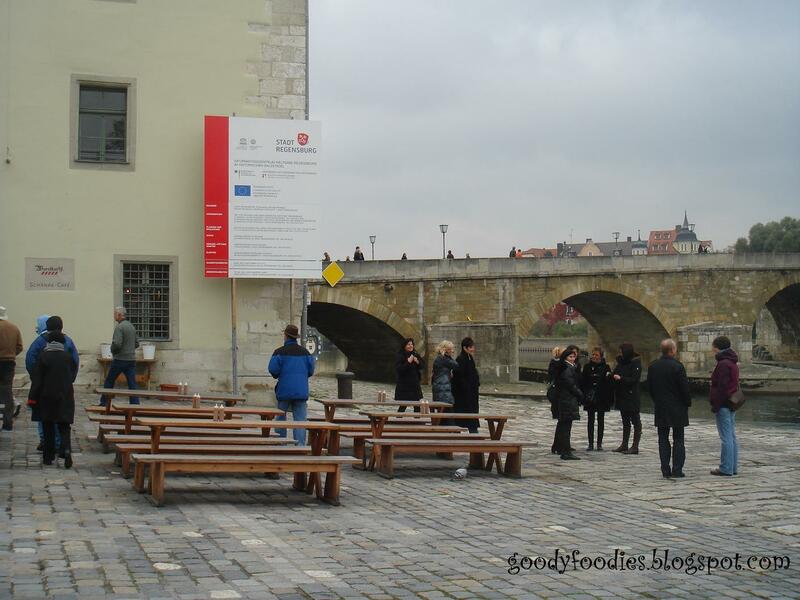 The tricky part is to find a table as during lunch hour, it can be extremely packed. I allow myself to be tantalised by this picture as we waited patiently for our duck. While we waited, I reflected on my love affair with the famous Four Seasons roast duck. 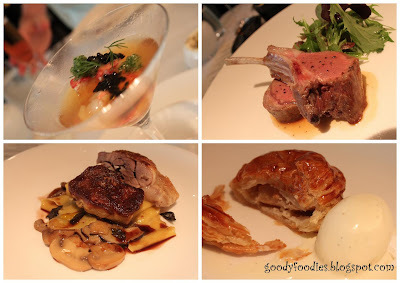 Prior to my encounter with Four Seasons in Bayswater, London, I was no fan of roast duck. However, after tasting the famous roast duck there, I was converted. 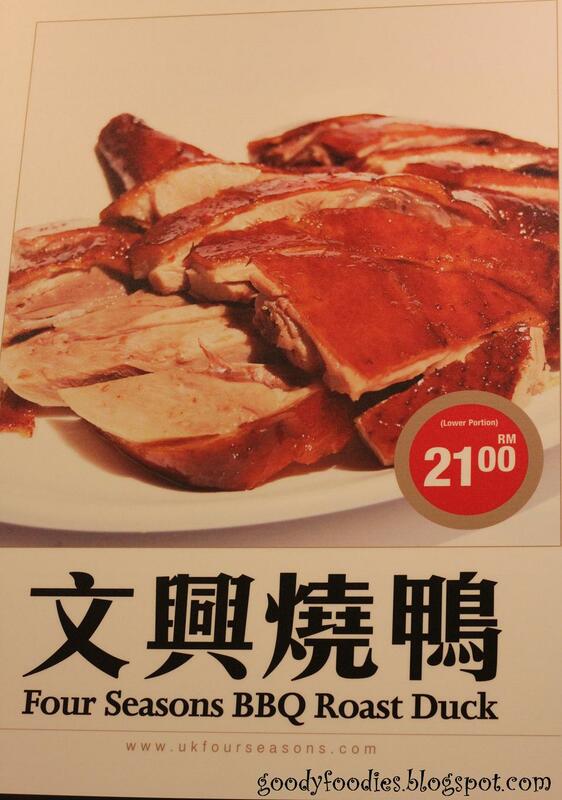 Suffice to say, since then my appreciation for roast duck grew. 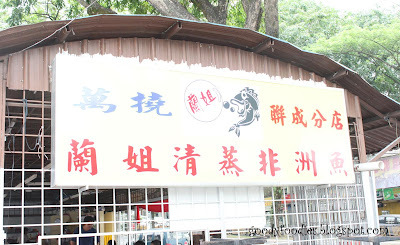 We were lucky that there was an excellent roast duck place in Seremban. However since moving to KL, we have had zero luck finding a decent duck place in Cheras (any recommendations would be welcomed). 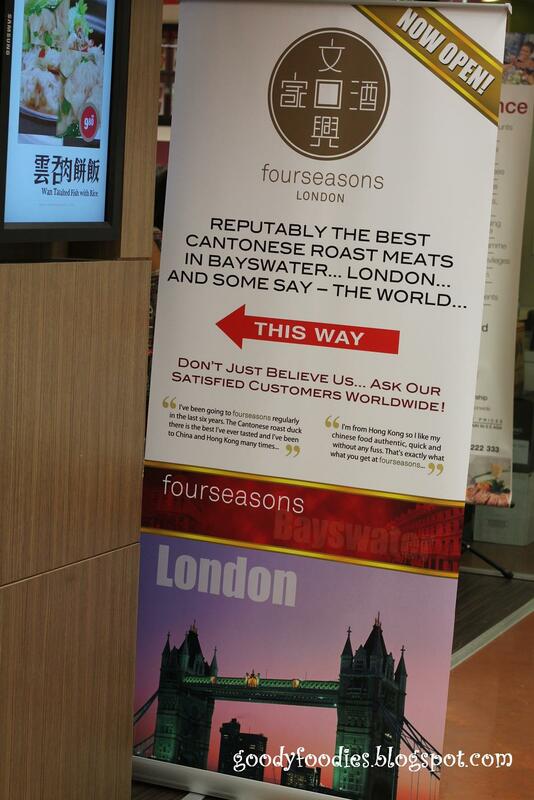 I am aware that Four Seasons have an outlet at Capsquare, however to stumble upon an outlet here was fantastic. Our roast duck finally arrived and I remember why I fell in love with it in the first place. The glistening crisp skin was just calling out to me. "Oh Baby Sumo, please eat me". As I sank my teeth into the meat, a smile formed on my face. 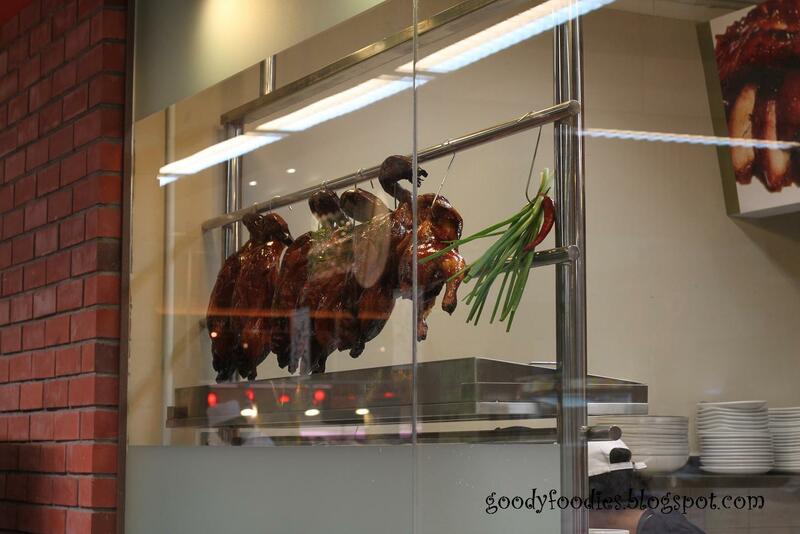 It's been a while since we had good duck in KL and the duck here was excellent. 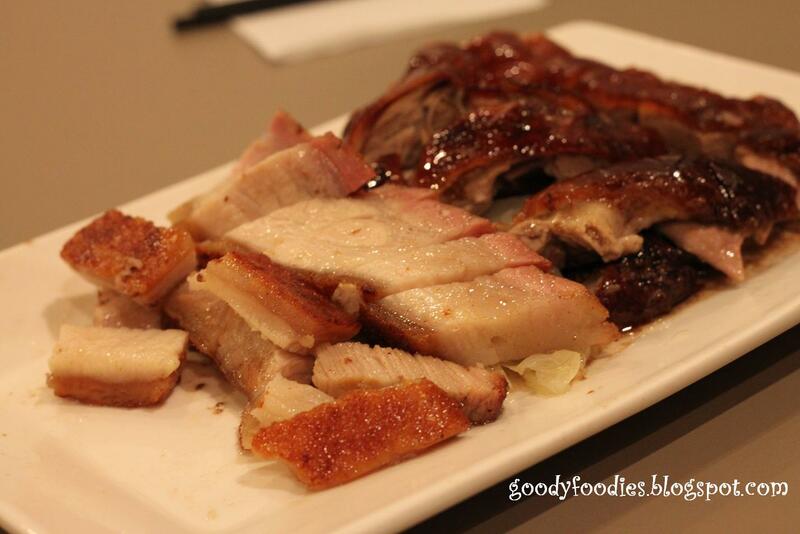 We also ordered the roast pork (siu yuk) and it was just as good. The crackling was extremely crisp, so when we bit into it, it had that wonderful crunch. This was swiftly followed by the melt-in-your-mouth thin layer of fat underneath the crackling. 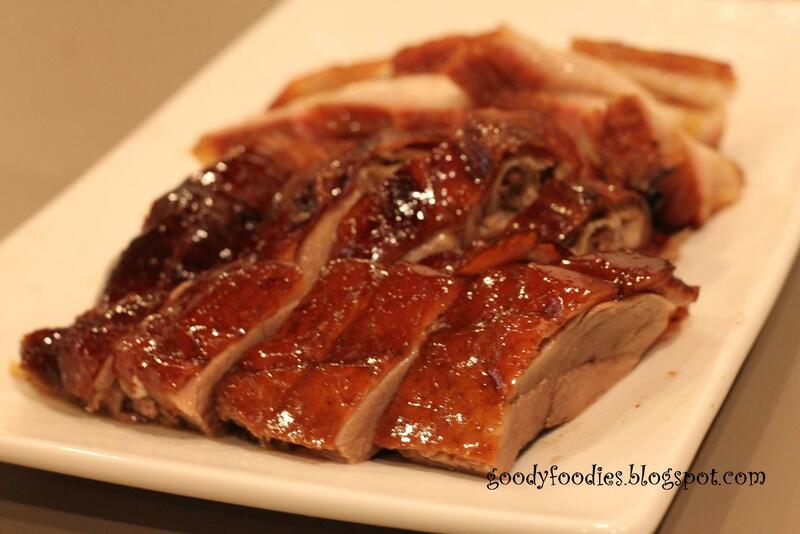 There are also rice and noodle dishes here, but a visit to Four Seasons Restaurant is not complete without trying their roast duck. 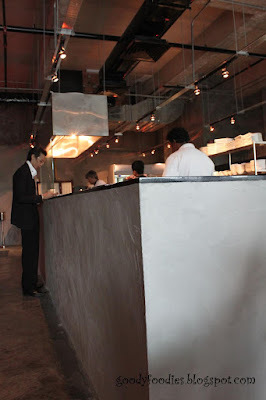 As we left, a quick check with the restaurant staff revealed that the restaurant was opened merely a week ago. My lucky stars must be shining on me. Service: Service here was good; the waiting staff actually came around twice to ask if our food was okay. Price: Whole duck available at RM59. We paid RM22 for two combination of meat (roast duck and roast pork). 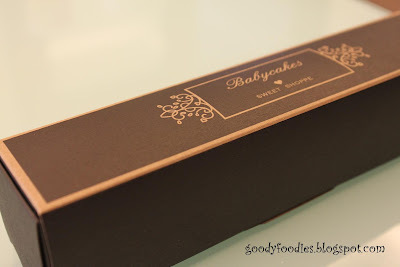 Tucked away in a little corner in GTower (also known as G City Club Hotel) by the florist, Le Fleur Flower Shoppe and two doors down from Social @ KL, Babycakes Sweet Shoppe is literally a hidden gem. 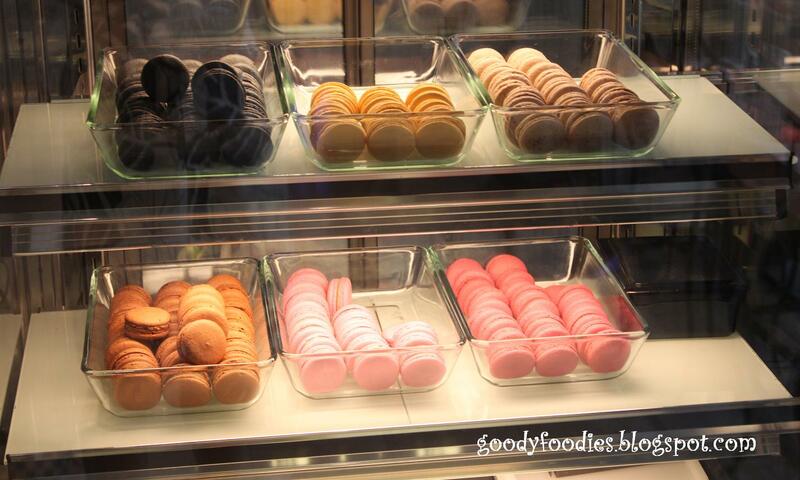 If you do find yourself at GTower or its vicinity, do pay a visit to Babycakes for their macarons. 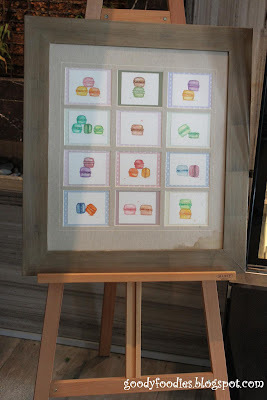 The macarons here are the best we've tasted in KL so far! There were 6 flavours available when we visited; caramel with salted butter, strawberry, black sesame, citron, red velvet with nutella and dark chocolate. 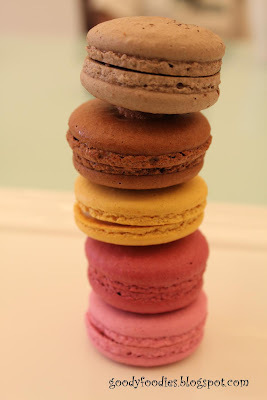 I like their motto: Keep Calm and Eat a Macaron. We find that macarons could sometimes be overly sweet. However, the level of sweetness of these macarons from Babycakes is just right. We adore the caramel with salted butter flavour, they are simply to die for. The slightly salty filling balances the sweetness of the crust, with a lovely chewy texture. I was glad we bought 2 of these as we were all fighting for more after the first bite. Totally irresistible! 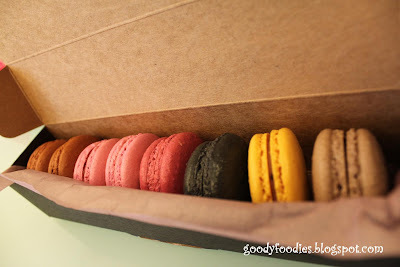 And best of all, these macarons are priced between RM2.20 to RM2.50, practically half of what Nathalie's macarons cost. Opening times: Monday to Friday 10am to 6pm, Saturday 10am to 3pm. Closed on Sundays. *Update in 2013: This restaurant is no longer operating at this location. The famous Lan Je Restaurant from Rawang has opened its fifth outlet, located at Taman Len Sen, Cheras. Two weeks ago, there was a sudden influx of diners and cars on that street which consequently drew our attention to the newly occupied corner stall. 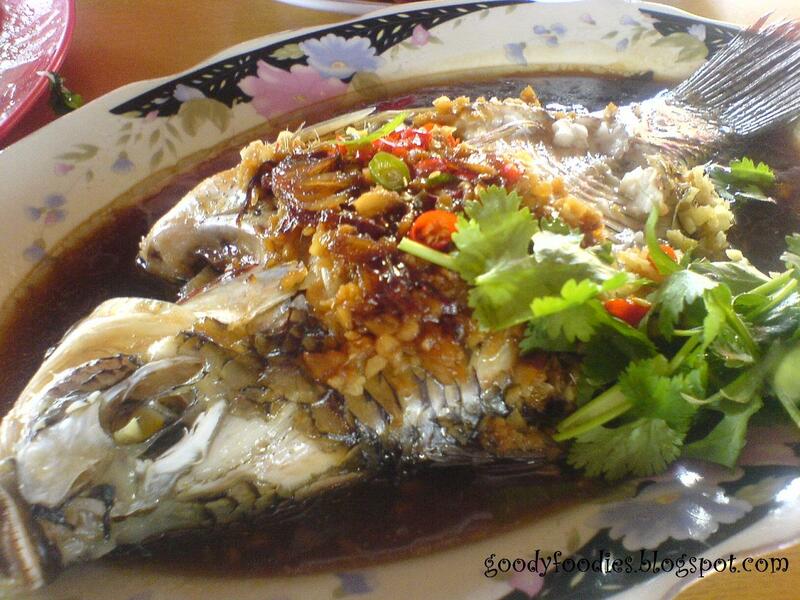 Lan Je's signature dish is its steamed tilapia (hak fei chau). Apparently, diners usually order one fish per person. The first question the waiter asked was how many fish we wanted to order. Since we wanted to try some other dishes here, we ordered one fish to share between two. You know how sometimes it takes ages to decide what style you want your fish cooked? No such problem here, as it is steamed simply with soy sauce and topped with ginger, garlic and cili padi. Just let them know the level of spiciness that you want, the spicier it is, the more cili padi topping. We were the first customers of the day, and the fish took about 20 minutes to arrive. However it was worth the wait as the fish was delicious; the flesh was firm, smooth and sweet. We also ordered the Kung Po Chicken (RM8) which for us was much more intriguing and turned out to be more satisfying than the usual sweet and sour style that is commonly offered. 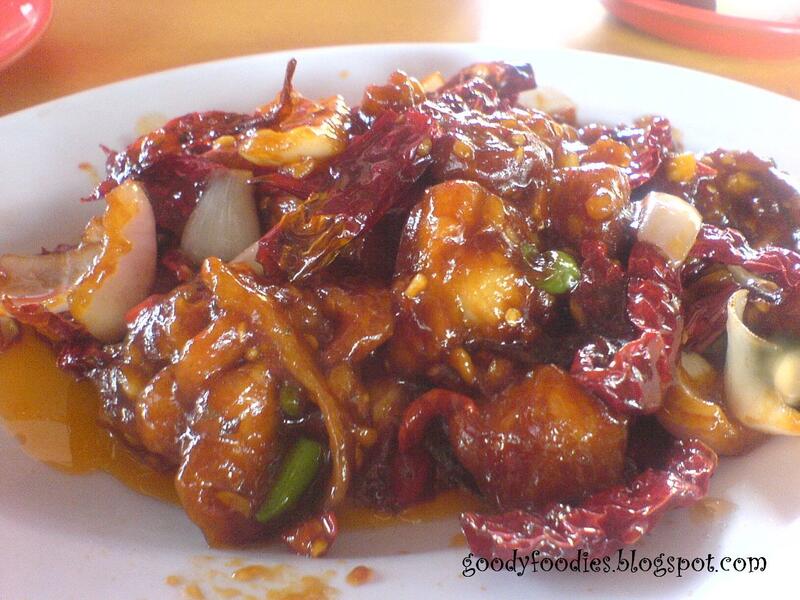 The chicken is coated in batter and deep fried, then cooked with dried chillies and onions and coated with a sweet, sticky and spicy sauce. 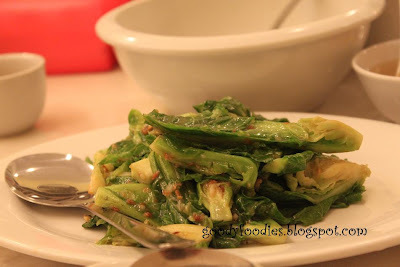 For greens, we ordered the Stir Fry yau mak (RM7) which was tasty and crunchy. Other vegetable choices here include kangkung, beansprouts, four angle bean (sei tim tau), and sweet potato leaves (si miu) which can be cooked with garlic, belacan or nam yue (red fermented beancurd). 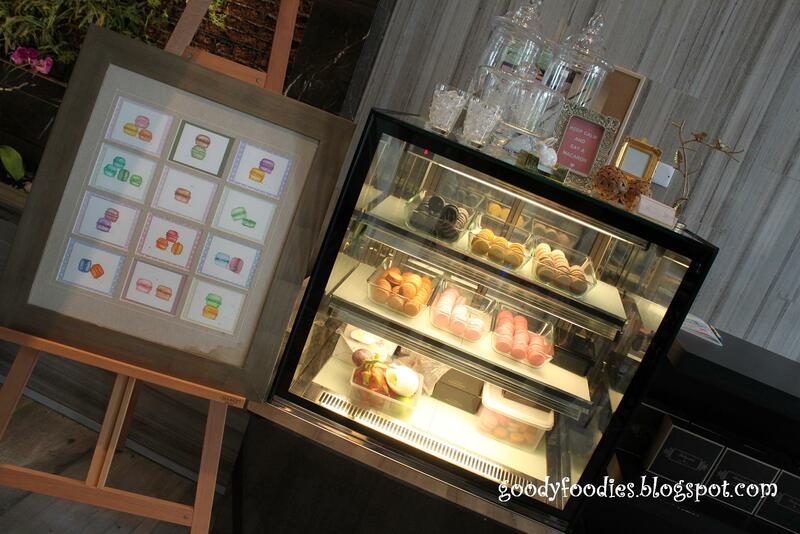 Other items on the menu include prawn, squid, tofu and fried egg in various styles. Pork free. See this signboard and you know you're at the right place. Opening times: 11.00am to 3.15pm and 6pm to 9.30pm. Closed on Tuesdays. Price: Steamed tilapia from RM15 onwards, our fish was slightly bigger so we paid RM17 for ours. Total bill was RM39. 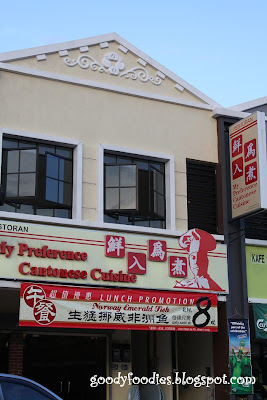 Location: Restoran Lan Je, Gerai 1, Jalan 1, Pusat Penjaja Taman Lensen, Taman Lensen, 56000 Cheras, Kuala Lumpur, Malaysia. 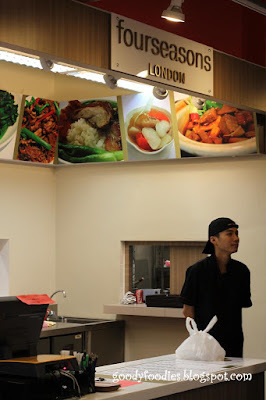 Other outlets in Rawang (HQ), Balakong, Kota Damansara and Desa Aman Puri, Kepong. 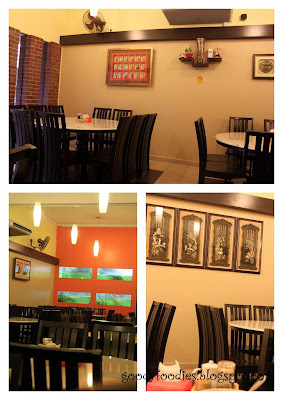 In early 2010, several new restaurants opened for business at the Damai 23 shophouses in Alam Damai, Cheras. We were delighted as it meant we would have more choices when it came to dining out. Sadly, the first restaurant we tried was a miss. We did not despair. Next on our radar was My Preference Cantonese Cuisine Restaurant. No prizes for guessing what type of cuisine they serve here. 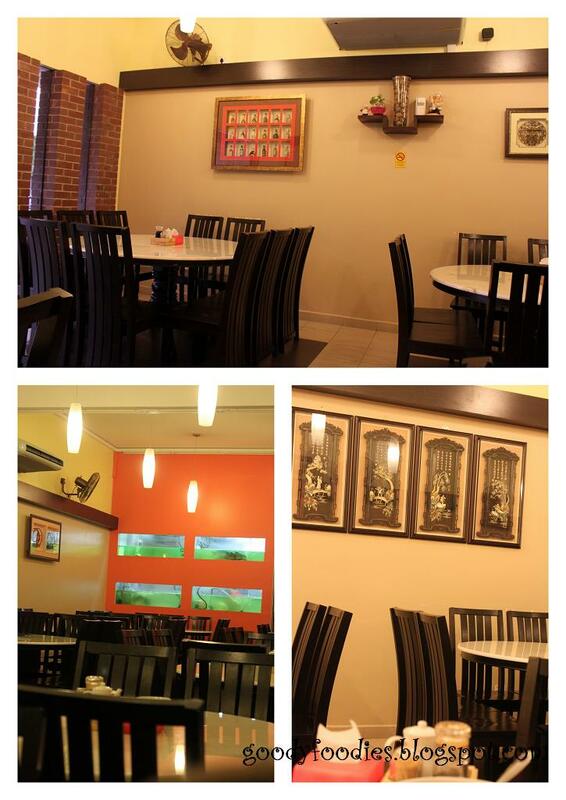 Being a Chinese restaurant, the decor is Oriental; marble tables and Chinese artwork are common features here. 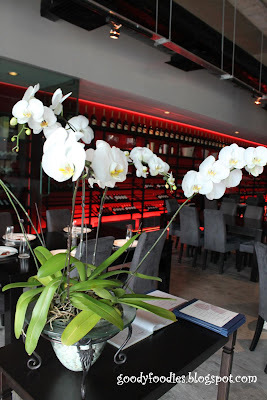 We like it here as the restaurant is clean, and air-conditioned, allowing us to dine in comfort just by paying a little more than a dai chow restaurant. 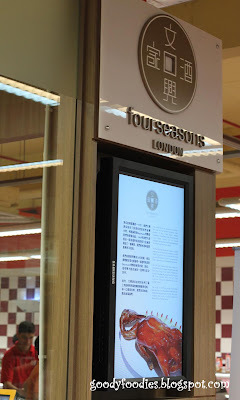 Both English and Chinese menus are available. Complimentary soup of the day is served at the start of the meal. Baby C loves the soup here. 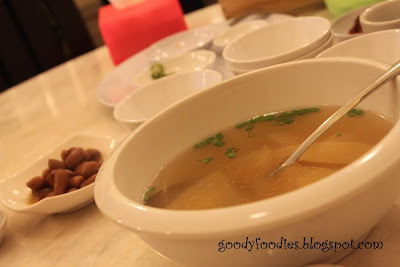 On this visit, we were served a clear radish soup. My favourite dish here is the Stewed Thick Spare Ribs in Kong Ting Style served with crispy soft bun (RM25/set). 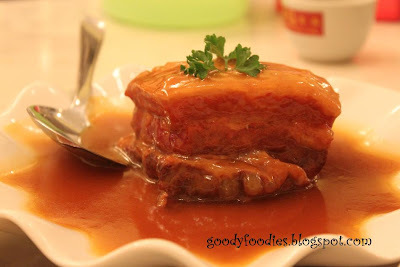 The pork has a slight layer of fat on top, and has been slow braised in a sweet sauce, thus producing tender, melt-in-your-mouth pork. 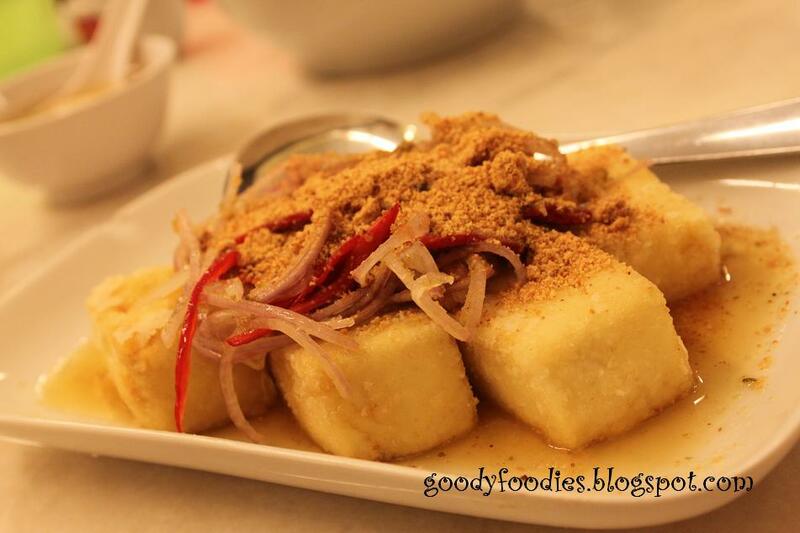 We have tried several types of tofu dishes here, but our favorite is the Deep Fried Homemade Beancurd Thai Style (RM10 for small portion). Even when there is 3 of us dining here, the small portion is more than sufficient for us. The beancurd is soft in the middle with a crisp exterior and is topped with shredded young mango, onion slices, peanuts and a tangy lime sauce. Delicious! 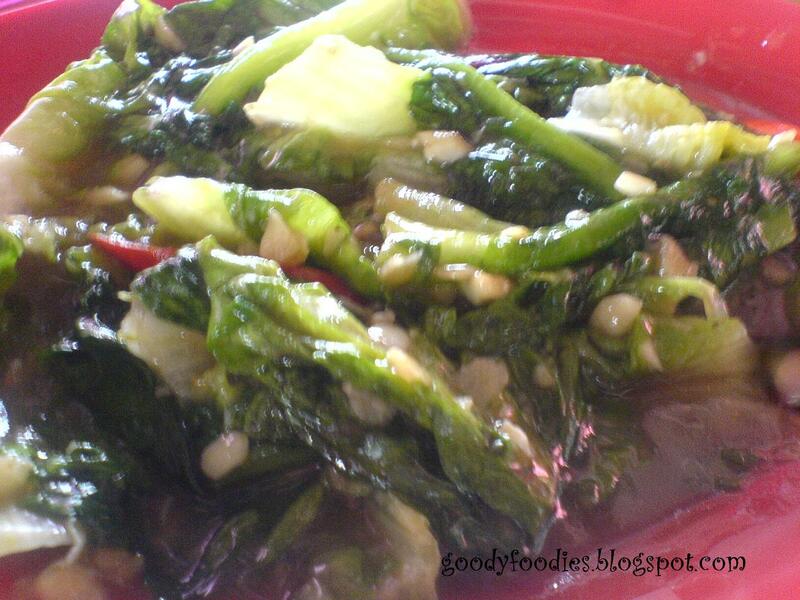 And some crunchy Stir Fried Choy Tam (RM11 for small portion) to balance our meal. Other specialties here are Salt Baked Chicken, Ginger Wine Chicken, shark's fin soup, Buddha Jump Over the Wall, just to name a few. I like the food here, everything is cooked well and the service is excellent. 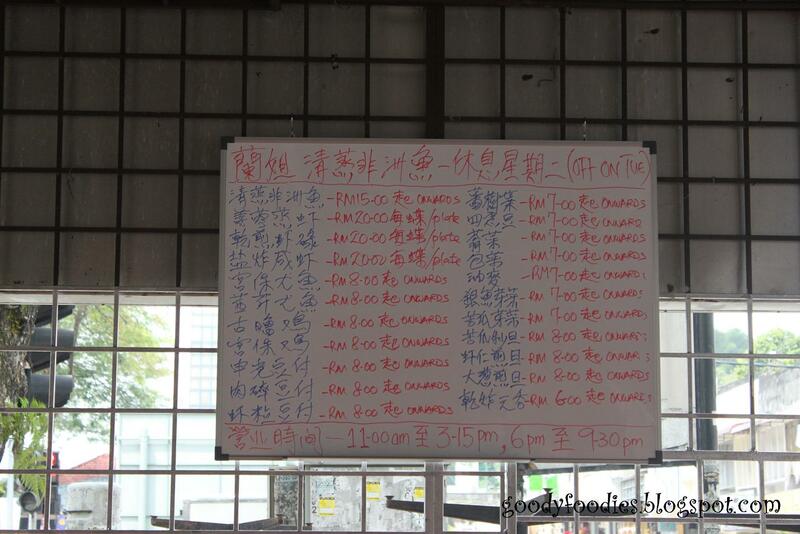 Reservations are recommended during weekends as it can get very busy in the restaurant. Price: RM55 for 3 person. Reasonable. 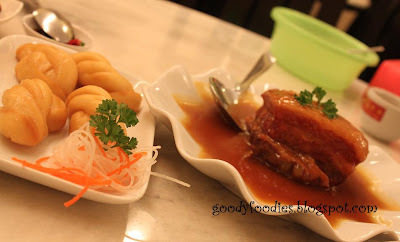 Location: Restoran My Preference Cantonese Cuisine, 22A Jalan Alam Damai 1, Damai 23, Alam Damai, 56000 Cheras, Kuala Lumpur, Malaysia. 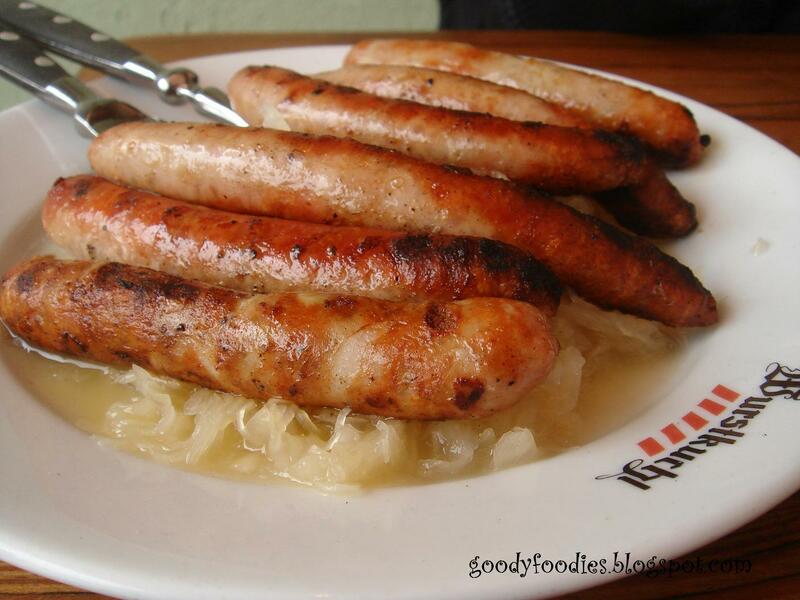 There are a few things closely associated with traditional German cuisine. 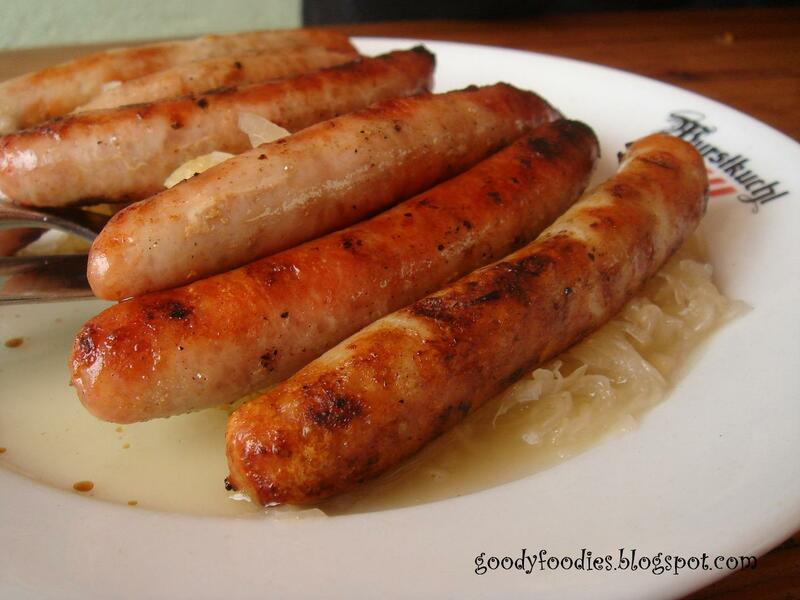 Amongst them are bratwurst (sausages) and sauerkraut (pickled sour cabbage). I had one of my best encounters with these two during my last visit to Regensburg, a city situated to the north of Munich in Bavaria. The city itself is quite a nice place to visit, with its beautiful medieval city centre named a UNESCO World Heritage Site. 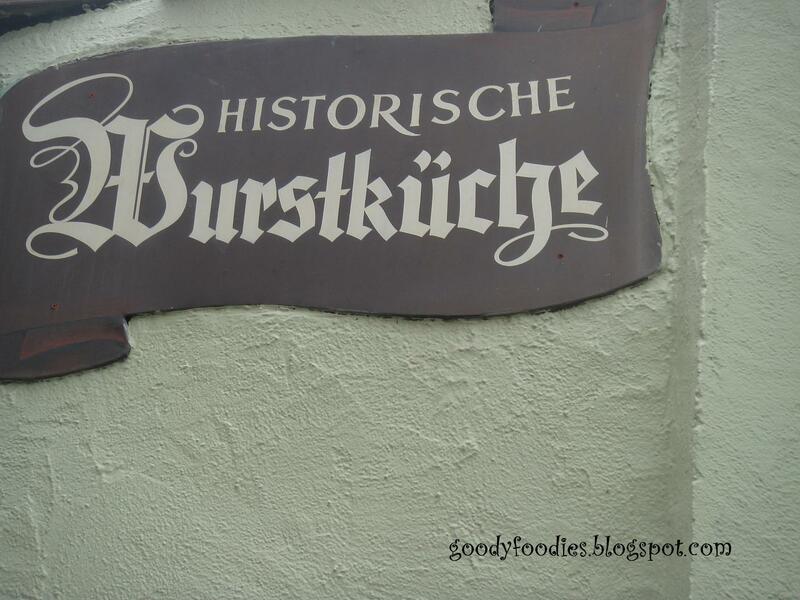 A stroll alongside the river brought us to the Wurstkuchl by chance. 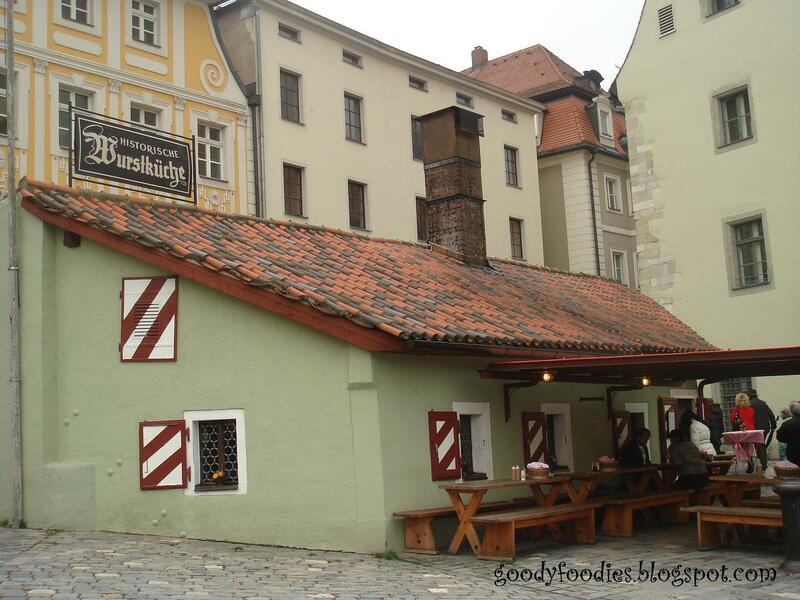 The smell of freshly grilled sausages was wafting through the air and we were led towards a tavern crowded with tourists and locals. We were drawn to the aroma of freshly grilled sausages..
As I found out later, this eatery has been around for centuries, dating back to the 1100s, existing first as a site office and then converted into the eatery it is today. It first served as a foodstand for dock and construction workers. 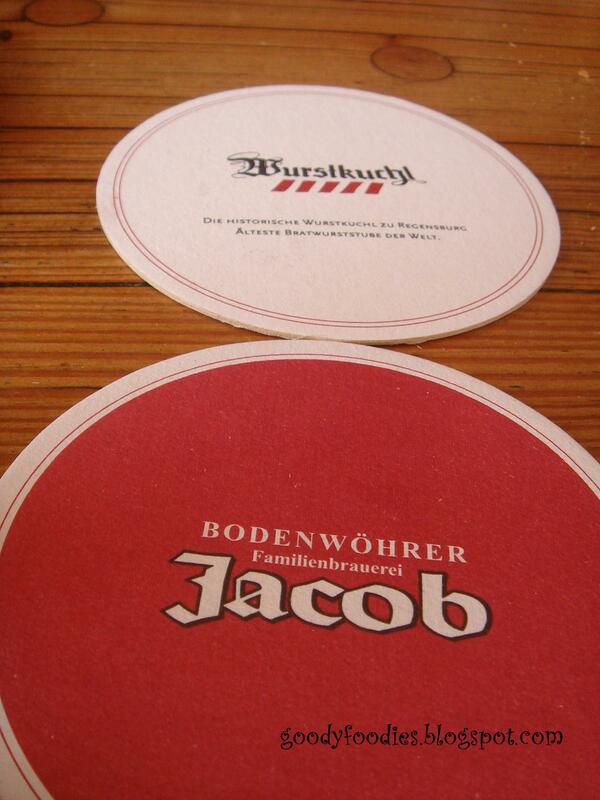 After a change of owners, the bratwurst and subsequently a menu was introduced. The sausages here are grilled on an open charcoal grill and apparently the recipe is only known to a select few members of the staff. Raw sausages are also sold in containers for those who want to buy back to enjoy at home. Whether the same char-grilled effect can be obtained at home is another question! The menu was short and straight to the point. Not much of a choice here! We had a serving of 6 bratwurst with sauerkraut (€7,50) and a potato soup (€3,50) which seemed particularly fitting for the cold weather. The potato soup was not on the menu we were given but we spotted an elderly couple having it and decided to order it as well. I found out later on their website that they do have a separate menu for their lunch; serving other classics such as schnitzel, roasted meats, and dessert. The bratwurst was definitely different from what I've tasted from my previous visits to various eateries, roadside stalls and restaurants. 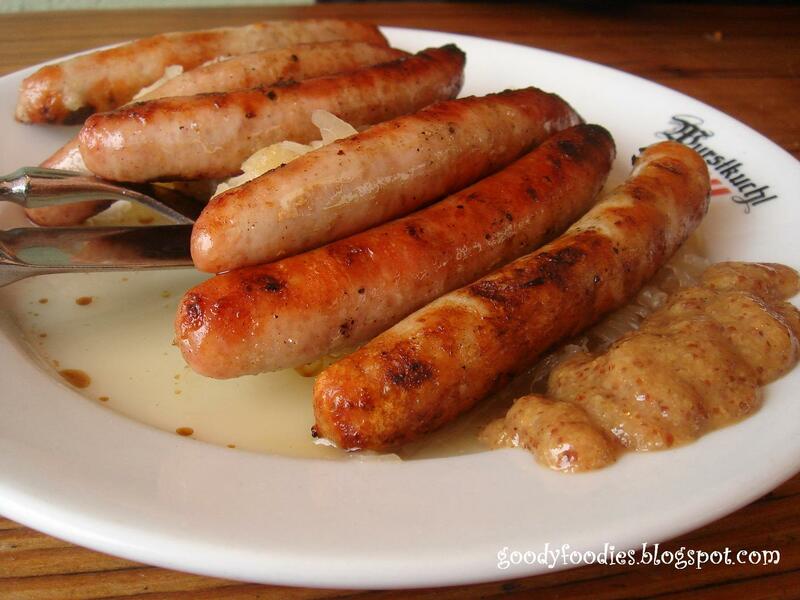 The sausages had a definite meatier texture to it and went very well with the homemade sweet mustard, a must have with Bavarian sausages. The sauerkraut, which is sourced from a local farmer, was as good a sauerkraut that I've tasted before; a perfect accompaniment to the sausages. 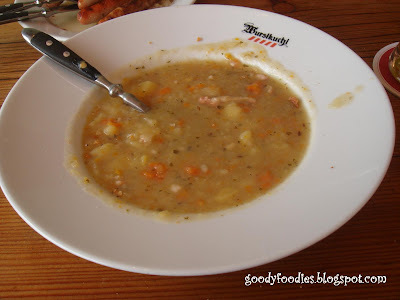 The potato soup was thick, warm and homey; comfort food for us in the cold outdoor surroundings. Slightly like a German version of ABC Soup, according to my fellow diner. 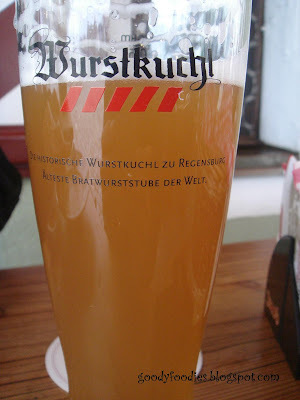 All in all a rustic, traditíonal, no-nonsense German experience by the Danube river. Although I would recommend not sitting outside during winter! Price: €20 inc. tips for 2 persons. A tad pricey for sausages, soup, bread and 2 beers but definitely a good experience for visitors to the area. 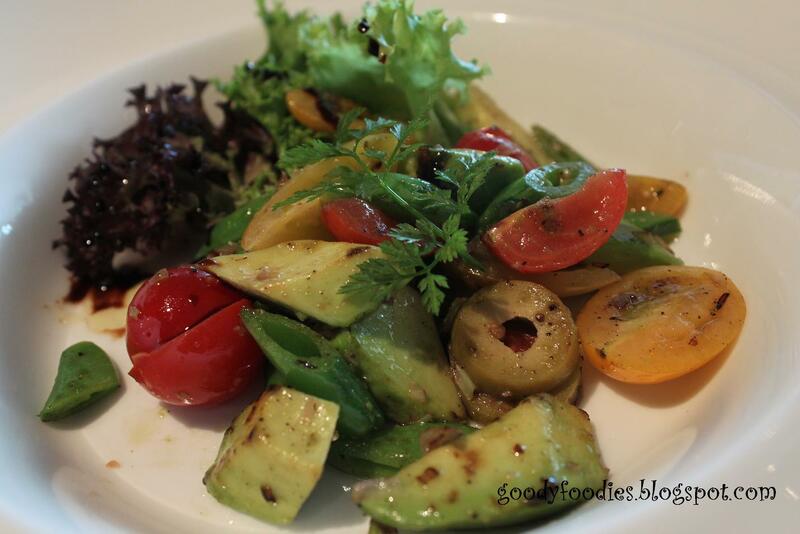 If I was asked to name my best dining experience of 2010, my answer would be our lunch at Cilantro in MiCasa All Suite Hotel. Both the service and food here was exceptional. The Miele Guide was created in 2008 to recognise Asia's best chef and restaurants, similar to the Michelin Guide we foodies are more familiar with. Cilantro is the first Malaysian restaurant to make it into the Top 10 of the Miele Guide. Bravo, a well-deserved listing indeed. We like so many others have been eagerly awaiting the opening of Millesime, the new restaurant by Max Chin. 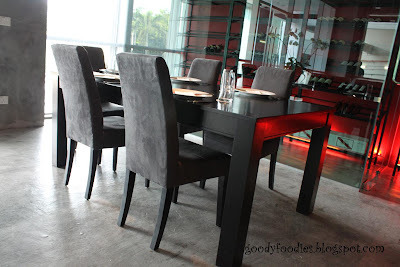 Having had numerous good dining experiences previously in Max @ iHaus, our expectations were high. 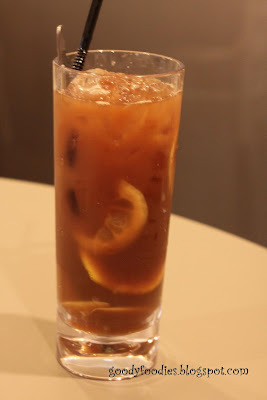 Furthermore, we have read some early reviews online, including that of EatDrinkKL which fueled the already blazing fire within us so we headed off to Solaris Dutamas this afternoon for what we fully expected to be a lavish lunch. However, after our lunch today, we have affectionately renamed this precinct Solaris “DoubtingThomas”. We are familiar with Solaris Dutamas, having dined at the nearby Nathalie’s Gourmet Studio. Despite that we still had a bit of trouble locating Millesime. Currently there are no assigned parking spaces for the restaurant. During the week the adjoining car park servicing the offices and shops is very full. Today almost every vacant position was reserved for a unique car registration. We eventually found our destination having made a detour through the art gallery, spotting Paranoid Android and Nomad Gourmand going in the opposite direction. Upon arrival we were warmly greeted by the maître d' by name (being the only reservation for lunch today). We were escorted to the table of our choice and presented with the printed “Lunch Menu”. Spotting Max Chin in his civilian clothes, issuing instructions to shopfitters who were executing finishing touches to his new premises, we had to double take both the menu and each other as we were seated. Our hearts sank, the reality that Max wasn’t cooking and that we were not being offered the “off menu experience” that we expected almost had us prematurely excusing ourselves from the premises in disappointment. I think our puzzled expressions and saddened glances at each other alerted the maître d' to our quandary. 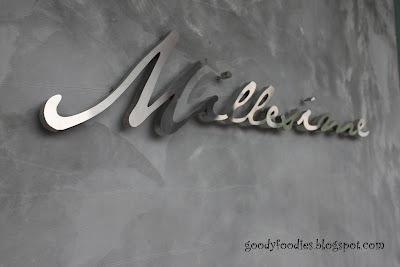 We sought clarification as the last thing we expected to see at Millesime was a set lunch menu. Albert, the maître d' explained that the lunch menu was designed to cater for nearby office workers and suggest the degustation menu would still be available to us should we have time. We had all the time in the world. Things were looking up. We quickly informed him of our intention not to take the lunch menu and of my post confinement dietary limitations (no shelled seafood). 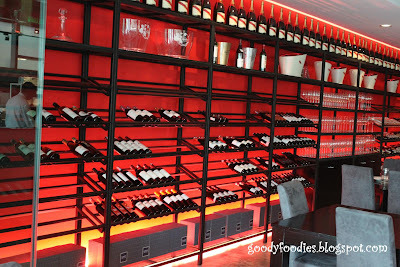 Suddenly it was game on – degustation menu for two with no shelled seafood in sight. 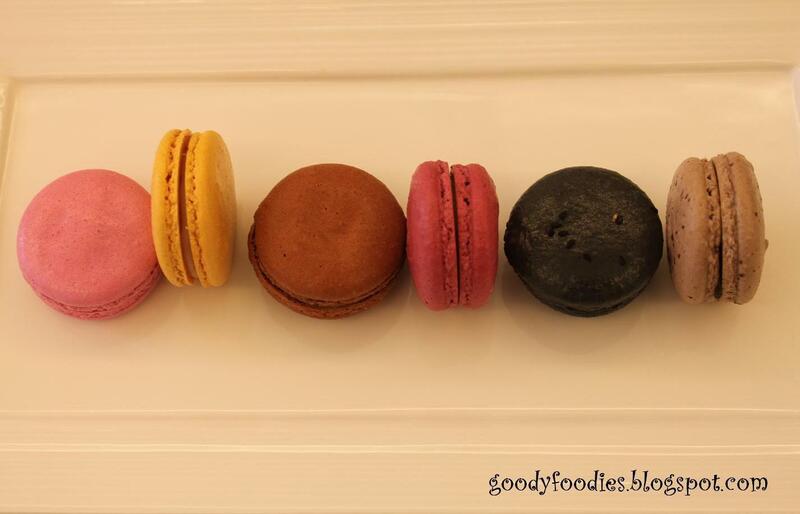 A degustation menu is widely recognized as a “carefully put together menu of various foods, focusing on the gustatory system, the senses, high culinary art, and good company." It usually showcases the chef’s signature dishes in one sitting. Regrettably , the only thing present in our degustation meal today was good company. On another day we would have settled for this menu, but while in post confinement we made it clear that I could not have shelled seafood, so the piquillo pepper with crabmeat would have to be omitted. I was prepared to eat the Marlin and simply pass the oyster to Hubby. The maître d' however suggested that the chef could create an alternative first and second course without shelled seafood for us, to which we agreed. Our first course arrived, a salad of sautéed avocado with orange vinaigrette, which to our dismay was an item directly off the set lunch menu which we had clearly opted out of. Earlier when reviewing the lunch menu I had striked out 2 of the choices due to shelled seafood content and had commented to Hubby that I had no real enthusiasm to eat avocado salad. 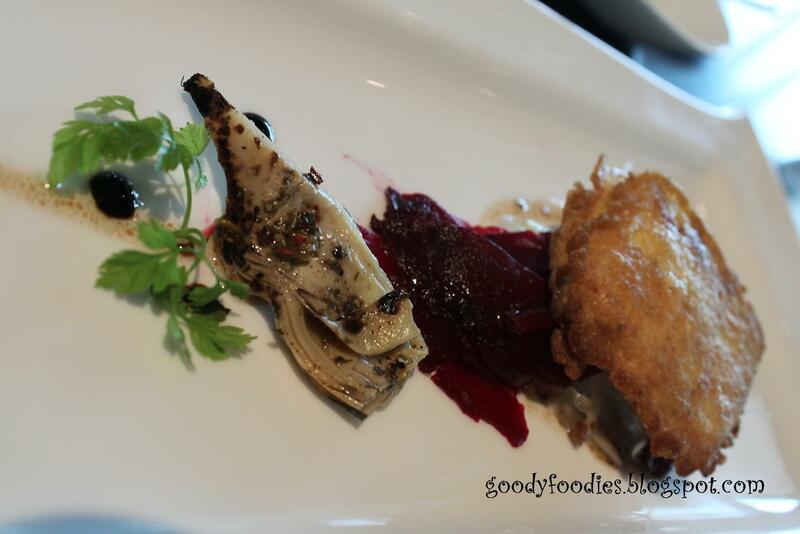 This turned out to be a very uninspiring dish to be served on a newly opened kitchen’s degustation menu. I told myself not to be disheartened, but when the next dish arrived, Haloumi Cheese with beetroot, my heart sank even further. It wasn’t exactly awe-inspiring. Although I had enjoyed haloumi cheese at Max@iHaus, there was something missing from today’s combination. We were now greatly looking forward to our unagi with foie gras, thinking that we would be getting this dish next, as it did not contain any shelled seafood. 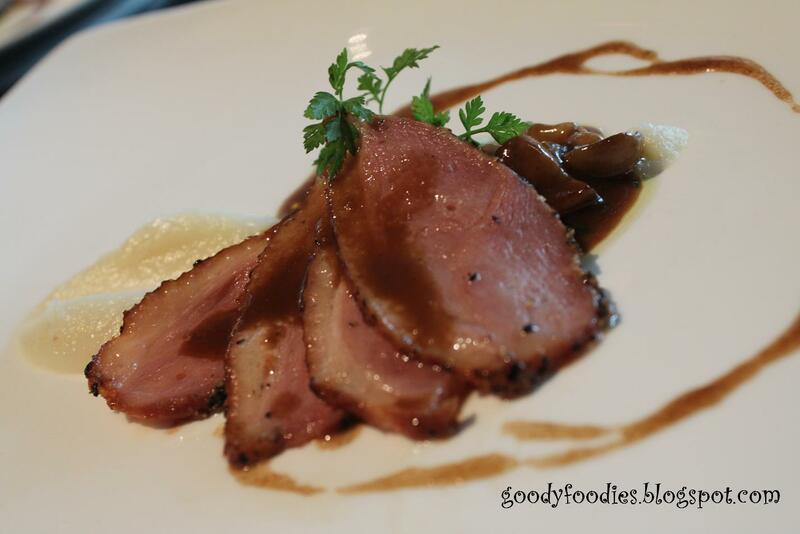 However, we were deeply disappointed to be served smoked duck breast with mushroom ragout. Stand alone it was in fact a good dish, but where was my unagi and foie gras? We don’t recall telling them we couldn’t eat unagi or foie gras. Again, the smoked duck breast was conveniently something off their set lunch menu . By now, I was pretty sure that the on-duty chef did not have the skills to conjure up an off-menu creation in Max’s absence and regrettably just gave us what was on the lunch menu as alternatives to shelled seafood. We took the opportunity to clarify with the maître d' that we wished to be served one of each of the degustation mains before being presented with who-knows-what... Something off the lunch menu would be a fair guess. Just before our main courses arrived, we realized that we had not been served any amuse bouche, which is included with the degustation. We signalled the maître d' over and after conference with the kitchen their story was that they planned to serve this to us after our duck course. This was a pretty lame excuse, we all know an amuse bouche is served at the start of the meal. It appears the kitchen had forgot to serve the amuse bouche. But how could they have forgotten – we were the only 2 diners in there, it was not like they had a lot of orders to deal with this afternoon. 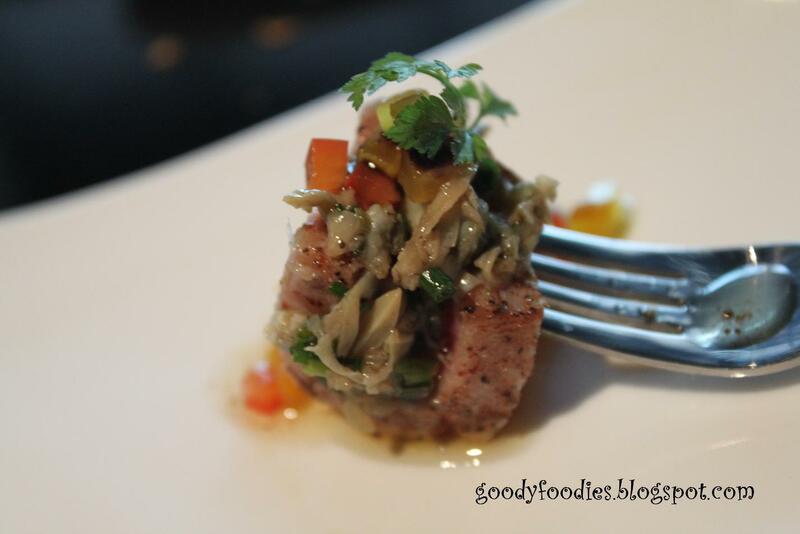 To make matters worse, the amuse bouche served was seared tuna with marinated clams. Up to this point, each course was described in detail when it was served to us, but the amuse bouche was sheepishly placed in front of us and introduced simply as ‘your amuse bouche’. 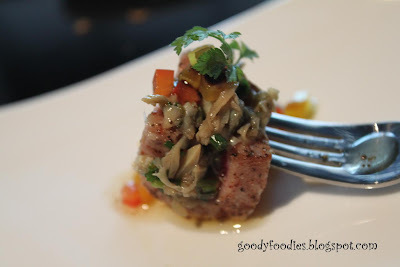 Served on a fork, the amuse bouche was attractively presented in such a way that the clams were actually sandwiched between the tuna, so we did not notice it immediately. 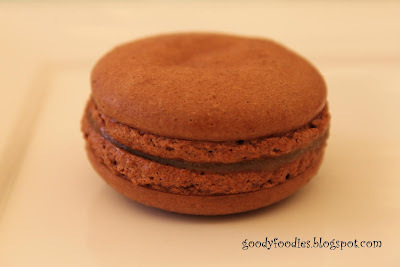 Additionally, because it was bite-sized, we immediately popped it into our mouths without second thought. However, some overspill remained on the plate, which I recognized as "clams". Hubby didn’t quite believe it was clams (since we specifically said NO SHELLED SEAFOOD and hence the reason why we were on a revised degustation menu) so we signalled the maître d' again to pose a simple question “What is this?”, pointing to the clam as we asked. He replied “marinated clams”, to which we replied “Isn’t that a shelled seafood”? To say the least, our already below-par lunch had now become a farce. 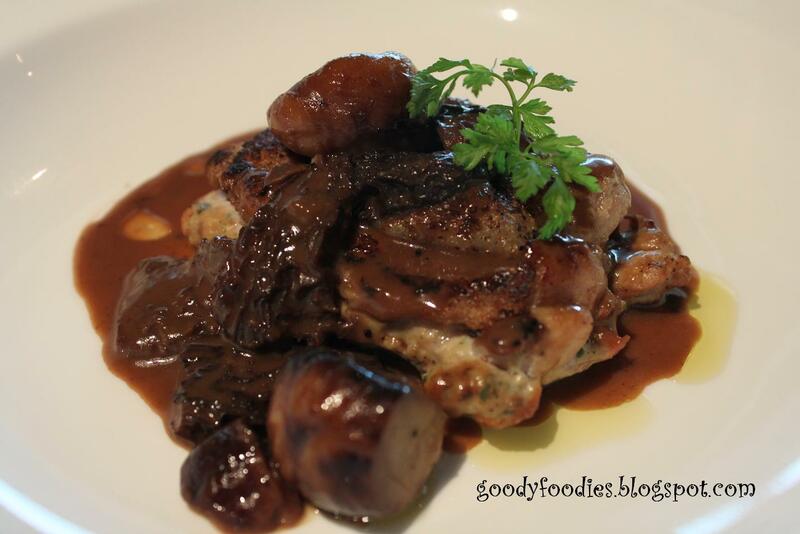 Our mains were up next, Roasted French Quail and Lemon Baked Cod Fish. I didn’t enjoy my quail, I felt that it was too tough. My passion to review the food in front of me had desserted me. 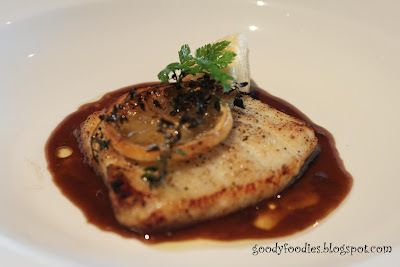 Hubby’s cod fish was slightly better but it only equalled the Dory we have been accustomed to receiving at iHaus as part of their RM25 set lunch. 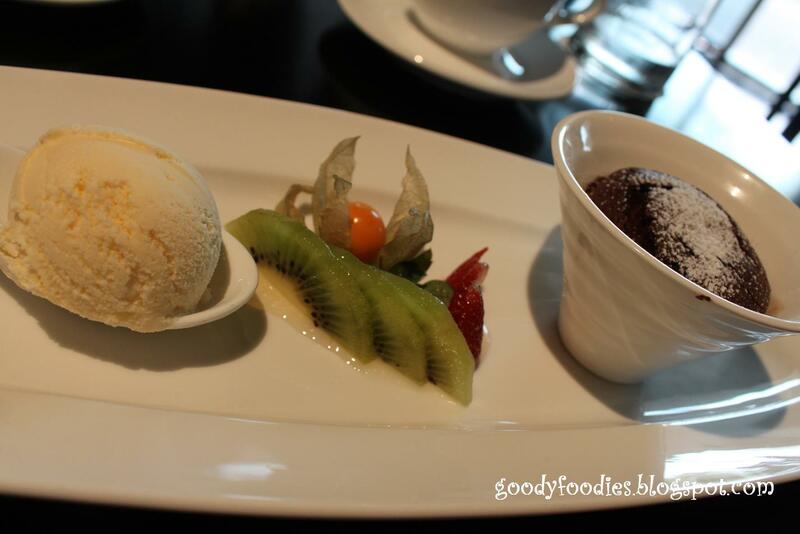 We have encountered this dessert, Varlhona bitter Sweet chocolate soufflé before at Max@iHaus and we can’t fault it. 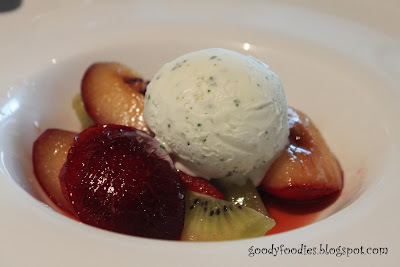 We were also served an additional complimentary desert, Glazed plum with yoghurt ice-cream, again another item from the set lunch menu as an apology for serving us shelled seafood. It’s ironic how everything we opted not to eat today kept appearing before us. “Gone are the days when you get to thumb through a menu and take 30 minutes to decide on a main course. Because at Millesime (which means “great vintage” in French), you will literally be given no choice”. However, it is surprisingly contradictory that degustation diners are given the choice of two main courses to select from. What if you don’t agree with the chef’s choice of the day? With a shake of his head, Chin ensures that will never happen. Anything served in Millesime will be a “guaranteed meal by Max”. If you have qualms over a specific ingredient, like beef or duck, you can always inform the chef beforehand. Max introduced himself to us before quickly vacating the premise prior to our meal commencing only returning as our mains were being presented at the table, this was hardly a guaranteed meal by Max. We made it clear to the maître d' that we did not want shelled seafood but the kitchen staff blatantly overlooked this. What if my reasons for not having shelled seafood was due to a serious allergic reaction? If your concerns are catching Chin on a bad day, don’t worry. “If I’m angry, I just don’t cook,” he says. And you best let him have his way. Today must have been a bad day for Max as he certainly wasn’t cooking, or even closely supervising his kitchen. Our meal suffered as a result. For the first week, customers will be able to determine their own price for the food served. Chin plans to use this as an “experiment”, while the money collected will be given to charity. “Pay what you think it’s worth,” he says. We were left wishing we had gone on the “charity week” and had the choice of paying what we thought the lunch was worth today because it was not worth the RM 300++ we paid. As a restaurant which markets itself as “first of its kind in Malaysia’ we expected every course to be a winner. I would return to Millesime in the near future only if I know that Max is cooking or at least closely supervising in his kitchen on that day. If we knew today that we were going to be served courses off the lunch menu as alternatives, we would have simply ordered the lunch menu and not the degustation menu. Despite our experience today we wholeheartedly respect what Millesime aims to offer and we recommend that you do make a visit when you can. There is no doubt that Max is a great chef as we have enjoyed many lunches at Max @ iHaus. We rolled the dice today and fully expected to come up with two sixes unfortunately in Max’s absence his staff rolled out a pair of twos. Opening times: 12pm - 12am. Price: RM55++ for 3-course set lunch. 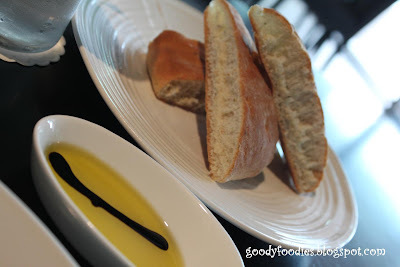 RM150++ for 5-course degustation menu. Location: Millesime, G1-01-3, Level G1, Menara Kencana Petroleum, No.1, Jalan Dutamas 1, 50480 Kuala Lumpur, Malaysia.